It’s that time of year. 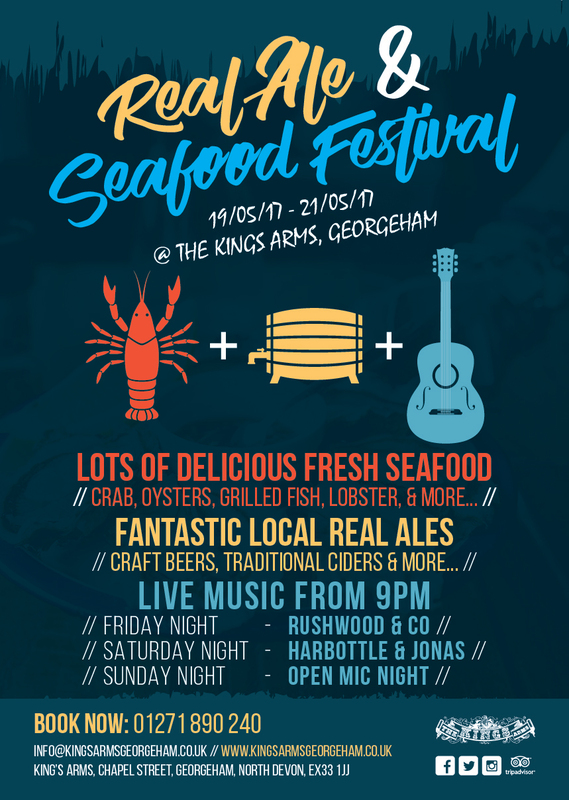 We need some fresh seafood in our lives, and why not combine that with a load of really great beers, some traditional ciders, and a weekend of brilliant live music…..
From Friday night, the 19th May, we’ll have at least 9 fantastic real ales on for you to try, with more to rack up as you drink those ones, plus 3 or 4 traditional ales. This complements our bar which also has a great craft stout, and a chilled keg IPA, plus 2 ciders and 3 lagers…pleanty to choose from! The specials board will be laden with fishy delights, from fish dishes, to langoustines, crab, mussles done several ways, and there’ll a a fresh oyster station on the beer table; nothing beats a pile of freshly shucked native or rock oysters!! Lots for everyone, normal menu too!! !